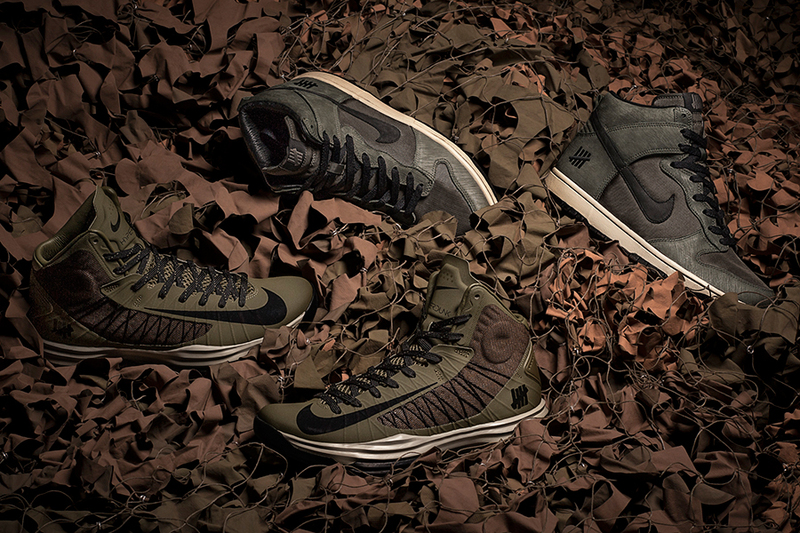 Undefeated and Nike Sportswear continue the "Bring Back Pack" with the Ballistic Nike Dunk High and Hyperdunk. After the first installment of the "Bring Back Pack", Undefeated and Nike Sportswear have teamed up again to re-release the previously exclusive 2003 release of the "Ballistic" Nike Dunk High. 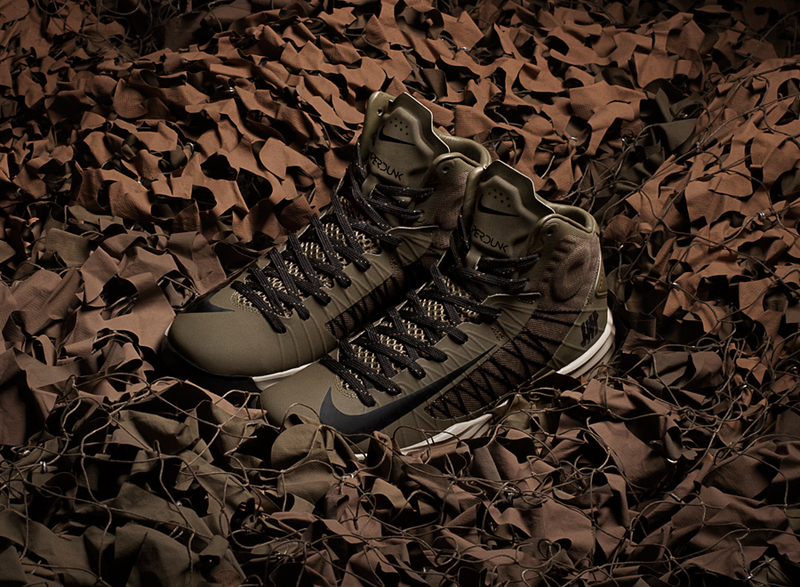 Along with the Dunk High its modern relative, the Hyperdunk 2012, in the same military-inspired make up. 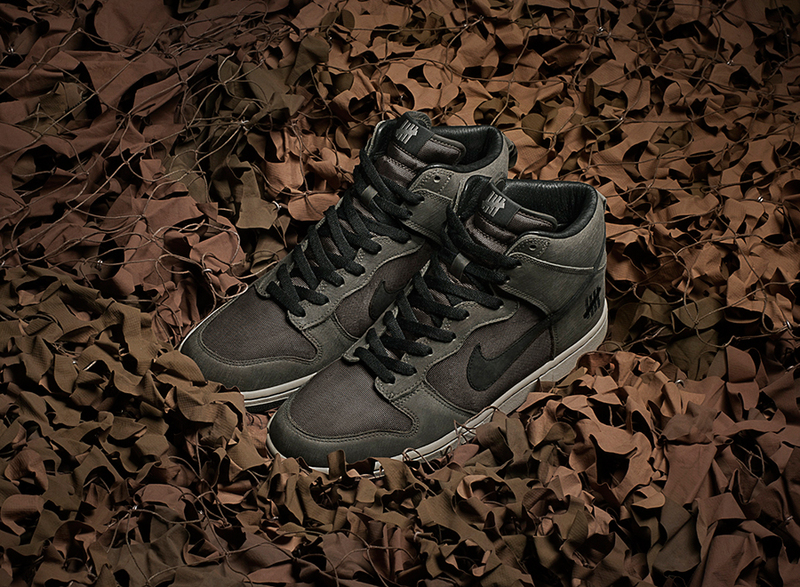 Both models in the Ballistic pack feature and olive green upper with black accents for a definite military feel. The Ballistic Bring Back Pack releases at Undefeated retail locations as well as undefeated.com on May 25th.